Sweet lime growing tree of the genus citrus also known as Sweet lemon. Sweet lime grow as perennial evergreen with vigorous thorns. It can grow in tropic, subtropical or mediterranean climate and growing in hardiness zone 10+. Flowers are white with purple with yellow stamen, fruit size ~13-24 cm’ and color is yellow/white, it is sweet something with a little sour. The inner fruit divided by segments, the segment cover with soft thin layer, it containing the pulp (little cones covered with a thinner layer). 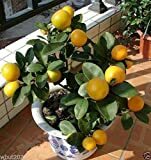 Is it necessary to graft reproduction in Citrus limetta? When does Sweet lemon tree bloom? What can be done with big quantities of Citrus limetta fruit? 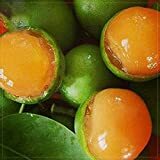 How long does it take for a Citrus limetta to bear fruit?